Portland-based Epicodus is an eight week, forty hour per week in-person class on programming. You’ll learn everything you need to know to get a job as a web developer or build your startup’s app. 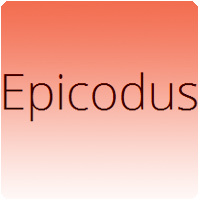 At Epicodus, you’ll learn how to build web applications from top to bottom with modern technologies and practices. More importantly than any particular skill, though, you’ll learn how to think like a programmer, write good code, and pick up new languages and technologies in this fast-changing industry. You’ll spend almost all your classroom hours building programs. In the beginning, we’ll tell you what to build, and each app will take a day or two to complete; by the end, you’ll spend several days on projects of your own choosing. In class, we practice pair programming: two people sharing one computer, taking turns who uses the keyboard and mouse. Pairing is increasingly used by tech companies (like Facebook and Square), and we’ve found that pair programming helps you learn faster, too. Some class time is also spent on code reviews and critiques. Each class has one teacher for every eight students, so you’ll get plenty of attention. Our style draws on the Socratic method and focuses on helping you learn to help yourself, rather than giving you the answers. It’s less about teaching and more about facilitating your learning. Every weekend, and some nights, you’ll have reading and exercises to do to prepare you to use new tools and approaches. You’ll probably be so excited about your projects that you’ll work on them outside of class, too. Tuition for our first, pilot class is $2,800 (future classes will be $8,000). Payment is due in full before your spot in the class is reserved.